Amick Brown through a partnership with Iyka (www.iyka.com) has been awarded a contract to be included in the Chicago Public Schools (“CPS”) pool of technology companies to support a variety of technology based professional services required by CPS. 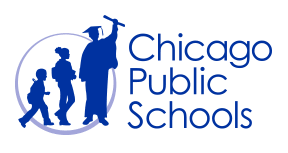 Chicago Public Schools is the nation’s third largest school district – funding over 600 schools and employing over 40,000 people. The Board has made a strategic decision to undertake a number of technology improvement projects over the next twelve (12) to thirty-six (36) months. Their vision is that every student in every neighborhood will be engaged in a rigorous, well-rounded instructional program and will graduate prepared for success in college, career, and life. The goal is to provide innovative technology solutions that improve the quality of education for their students, reduce the administrative burden on their educators, facilitate parent interaction and increase community engagement. Amick Brown looks forward to serving CPS in support of their goals over the coming months.